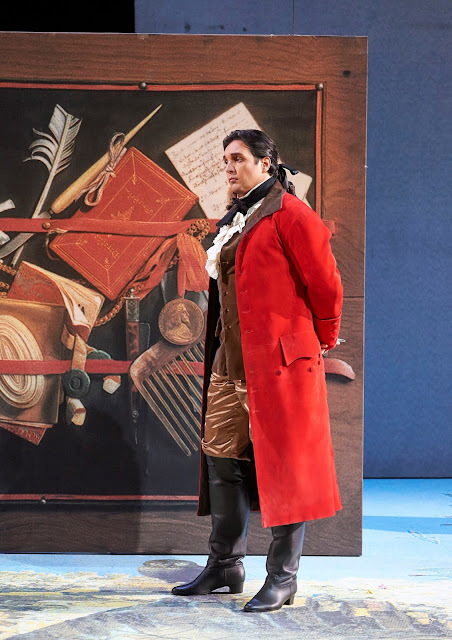 Four weeks precisely before seeing this Marriage of Figaro in Vienna, I had seen the Royal Academy of Music production at the Hackney Empire. It might sound as if I am exaggerating for effect, but I can assure you that I am not; in almost every respect, the RAM performance was superior. We should not become hung up on matters of cultural ‘ownership’ – Mozart was not really ‘Austrian’ at all, whatever the tourist board might tell you – but that nevertheless gives one pause for thought. Although I said ‘in almost every respect’, other shortcomings were dwarfed by Jean-Louis Martinoty’s catastrophe of a production: at least as bad as, if not worse than, Barrie Kosky’s effort for the Komische Oper in Berlin, albeit in different ways. 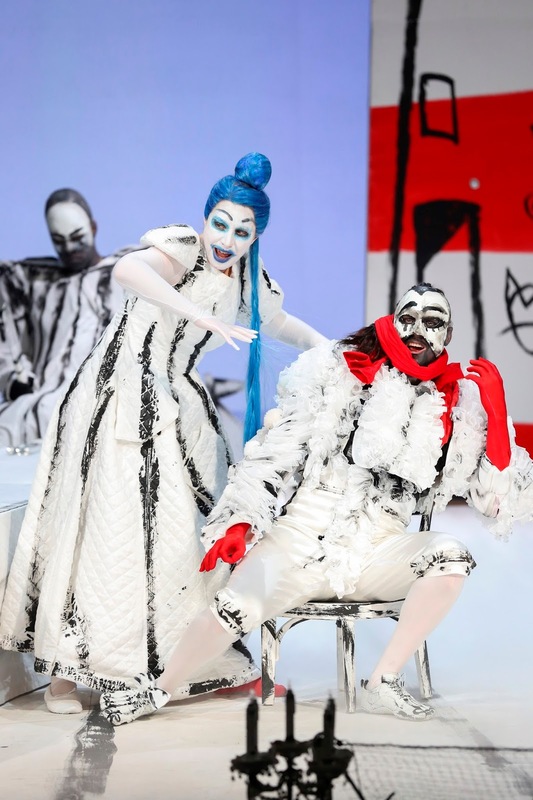 I had been going to ask why Figaro, so long a relatively ‘safe bet’ with respect to staging – relative, at least, to Don Giovanni – was having such a bad time of it now. (Janet Suzman’s work for that wonderful RAM staging was a noteworthy exception.) Then I learned that Martinoty’s production had actually been imported from the Théâtre des Champs-Elysées. Why? As French friends have since told me, it was bad enough then, in the 1990s. Is it not a little odd that the Vienna State Opera could not create its own new production, even if the import were of better stuff than this? It is difficult to know where to start with Martinoty’s incoherent, joyless mess. I am not sure whether the director is attempting to be ‘traditional’ or something else. The costumes are ‘period’ of a sort, I suppose, but more akin to a Carry On film idea of the eighteenth century than something into which any thought has gone. I have no objection to a properly thought-out ‘period’ production; indeed, there will often be problems, not insurmountable but problems nevertheless, when a society of orders is jettisoned for something else. This just seemed, however, an excuse for opportunities for the mildest, least risqué of molestations. The politics of Mozart’s opera – even Da Ponte’s libretto, shorn of the music – are not those of Beaumarchais, but they are far from non-existent. Here, it seems, we have something that wants to be a bit of a farce, but cannot quite bring itself to do what is necessary. The direction, moreover, veers between excessive activity – not quite hyperactivity: that might be too much hard work – and people haplessly standing around. A servant extra might walk in but to no apparent end and then – well, just walk out again. Meanwhile, someone else will be in entirely the wrong place, making a nonsense – and certainly not in a questioning, let alone deconstructionist way – of libretto, score, logic, anything really. Something appears, for instance a kneeler for the Countess in front of one of the many pictures (more on which soon, this from the Crucifixion), has one think it might actually have something to say, then no sooner has she knelt down, she gets back up and nothing more is said or done with it. The prospect of the Countess seeking her salvation in the Church is an intriguing one, but it is certainly not explored here. 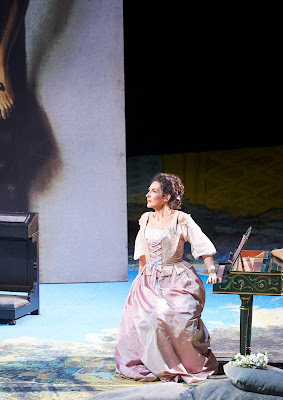 Perhaps the worst of Martinoty’s many lapses – he manages somehow to combine the reactionary qualities and general intellectual vacuity of Franco Zeffirelli with the downright incompetence in stagecraft of Katharina Wagner – lies with his ‘treatment’ of Cherubino and the chair during the first act. He is not there. The Count reveals all, or rather does not, because he cannot. A little while later, once music and words have moved on, someone else – Don Basilio, I think – finds him in what I think might have been a linen chest. We see nothing for a while, owing to its placing on stage, and then eventually Cherubino steps out, long after we, or even the characters onstage, have ceased to care. If this were an attempt to play with, even to confound, expectation, it fell flatter than a pancake. Then there are the weird stage designs. Well, the paintings: there is little else on which to comment. Lots of them, randomly assembled, often but not always still lives, come and go. At random points, they come down from the ceiling; at random points, they go back up. They either bear no discernible relation to the action, or add nothing to it. Why on earth, for instance, is a selection of cheeses suddenly brought before us at the beginning of the fourth act, and why does it equally suddenly disappear? Answers on a Pythonesque postcard, please. Enough! I do not intend to dwell on the musical performances, since they were not given a chance. However, I must say something. It is difficult to know what to say about James Gaffigan; maybe he was hamstrung by the staging. There was nothing especially wrong with his direction of the orchestra, which at its best could sound gorgeous, but had a surprising tendency towards thinness at times. I could not see the pit, but suspect that, in a house of this size, a few more strings would not have gone amiss. There was a tendency towards (over-)swift tempi, but less than we have had to endure from much of the ‘authenticke’ brigade. He made the same gross miscalculation I recall Sir Charles Mackerras – a bewilderingly overrated Mozart conductor – making when Susanna emerged from the cupboard, needless to say a bit late, in the second act. No wonder here: instead an absurdly fast tempo, doubtless born of ‘performance practice’ dogma, which made it sound as if a horse were released to canter around the paddock. The finest vocal performance came from Adam Plachetka as the Count: all heading, it seemed, towards the emotional turmoil and fury of his third-act aria, and all flowing from that thereafter. As alert as the production would permit to his character and its development, this was something one could, in the circumstances, still just about savour. Véronique Gens sang beautifully as the Countess but her voice sometimes seemed a little small for the house. I did not especially care for the ornamentation of her third-act aria, but tastes differ in that respect; if it is to be done, then I doubt it could have been done better than here. 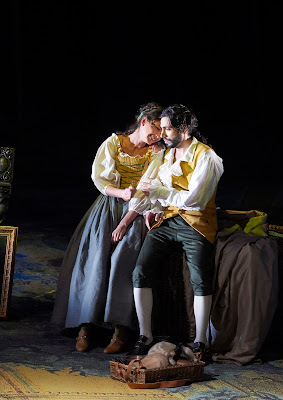 Aida Garifullina and Alessio Arduini were an attractive servant pair: visually and often vocally, but they struggled, again perhaps in part from relative smallness of voice, but above all on account of the production, to burn their characters into our affection. Arduini's easy way with the text, though, was indicative of something more, which would doubtless have been more fully realised in another situation. We know Figaro and Susanna, and all the rest so well: none of them fully came into being on this occasion. Elena Maximova and Ulrike Helzel both seemed at times ill at ease with the vocal demands placed upon them; Dan Paul Dumitrescu was an excessively bluff Don Bartolo. However, with a staging such as this, the singers should not necessarily be held responsible. In the beginning was Pli selon Pli: not only a modern(-ist) classic, but one of the very greatest musical works of the twentieth century. At the end – well, not quite the end of Wien Modern, but my final evening – came a late-night event at Porgy & Bess jazz club. Alas, I was only able to stay until the interval; no disrespect was intended to the three works to follow (Brigitta Muntendorf’s Public Privacy #1: Flute Cover, Matthias Kranebitter’s Dead Girl (Requiem E), and Alexander Schubert’s HELLO), nor to the Black Page Orchestra. I nevertheless encountered a provocative few works in the first half, some of which I responded to more keenly than others; new encounters are always, however, preferable to tired exhumations from the museum. Brahms I adore; I should travel a good distance to hear, say, Daniel Barenboim or Bernard Haitink conduct the symphonies. Brahms in a mediocre performance, there seemingly only to satisfy a non-discerning craving from tired subscribers: forget it. I listened and – often, just as important – watched ‘blind’, knowing none of the composers’ work beforehand. (If you wish to point out that makes me unqualified, you are probably right, but it is perhaps less surprising than a situation in which I were to write about Brahms without some prior acquaintance.) Elena Rykova’s 101% mind uploading, for three performers, seemed to me in some ways to hark back to the music-theatre of the 1960s and ’70s. We had three performers whose role was gestural, even dramatic, as much as musical. They arrived – I could not help but think of Henze’s Der langwierige Weg in die Wohnung der Natascha Ungeheuer, especially given its jazz group – in surgical garb and proceeded, it seemed, to perform surgery upon the piano. Other instruments were part of the act from time to time, but the piano remained the central focus. All manner of sounds issued forth: almost wasp-like at one point. As a piece of theatre, I found it initially arresting, if perhaps over-long; it struck me that it might well have lasted for three hours, or for that matter three minutes. I am not sure how long it lasted, but to speak of ‘musical material’ and what length it might have justified would seem rather to be missing the point. Here as elsewhere, though, there was no gainsaying the ability of the performers, members of the excellent, undoubtedly radical Black Page Orchestra. Stefan Prins’s Piano Hero #1, for midi-keyboard, live electronics, and video followed. I shall doubtless show myself woefully out of touch here, but it seemed to me to show an interesting musico-dramatic grasp and communication of the ‘gamer’ at his console. It was certainly a performance in a very strong sense, the video screen notwithstanding. Electronic look and sounds combined convincingly and not always expectedly. The final two works had a little more of the jazz arena to them. (I am certainly not complaining that the first two did not, simply noting the ‘fit’ or otherwise with surroundings and expectations.) In the case of Mirela Ivičevič’s The F SonG (dominosa VII), the presence of a saxophone helped, but more fundamentally, the sense of an amplified celebration as well, perhaps, as deconstruction, of a jam session. Ensemble and electronics were intertwined in both composition and performance to an extent that, certainly on a first hearing, it was difficult – and probably fruitless – to try to distinguish between them. Oliver Weber’s Heat Wave, for bass clarinet, electronic guitar, piano, violin, and electronics, seemed at times especially preoccupied with certain repeated notes, often on the same instrument, sometimes not. There were some Kraftwerk-ish electronic sounds, I thought, and my friend noticed a quotation from Summertime. (That might make sense, given the work title; I am afraid I missed it.) So much to think about, and much remaining to make sense of: I hope I shall be able to return before long to the festival. And, by the way, how lovely to go to a concert and receive excellent table drinks service! This was, as ‘they’ say, a concert of two halves: two violin concertos in the first, in truly excellent performances by Augustin Hadelich; a symphony in the second, let down by uncomprehending conducting by Kazuki Yamada. Unifying the two halves was the splendid, dark-hued, ‘old German’ playing of the Lower Austrian Tonkünstler Orchestra. It had been far too long since I had heard them – three years ago, in fact, in a wonderful Mahler Second – but it was a delight to hear them once again, aided of course by the fabled warmth of the Musikverein acoustic. Let me get the Mendelssohn out of the way: a real pity, given the depth of bass tone we heard from the orchestra. The first movement benefited from a beautifully grave opening, which really seemed to be leading somewhere. Alas, there was far less of a sense to that in the ensuing Allegro poco agitato, which, under Yamada, progressed only sectionally, with little impression of an overarching line, let alone of the dynamism inherent in Mendelssohn’s form. The scherzo is marked Vivace non troppo; not only did Yamada disregard ‘non troppo’ but he substituted Presto. His podium dancing was eye-catching, if unfortunate. The great Adagio, beautifully dark in orchestral colour, again proceeded fitfully, bar by bar. Gravity came through by virtue of the playing, but the conductor needed to make the music sound more at ease with itself. A hard-driven finale made me long to hear the same orchestra play the symphony with another conductor. In retrospect, it became even more clear that the Haydn C major Concerto had been the soloist’s interpretation. Cultivated playing from both Hadelich and the orchestra was a joy from beginning to end: such a delightful change from the world of ‘authenticke’ grotesquerie some curious souls claim to favour in Classical music. In the first movement, everything simply sounded ‘right’: the tempo, rhythm, phrasing, articulation, harmonic motion, and so forth. Hadelich’s double-stopping was despatched with just as much beauty as his more lyrical lines, likewise his cadenza. The slow movement breathed air similar to, although not quite identical to, Mozart’s Salzburg. Lovely orchestral pizzicato heightened the resemblance: delightful! The finale was lively without that wearying need some soloists show to scream ‘high octane’. Most important, it was true to the work’s – and the performance’s – character; it acted as a finale. I have often felt ambivalent about Thomas Ades’s music, but gained a much stronger impression from this work for violin and concerto, Concentric Paths. Although in the ‘traditional’ three movements, there was nothing Classical about their respective weighting, the second, ‘Paths’, clearly the weightiest as well as the longest. The striking, circling (?) opening put me in mind of a composer wanting – fair enough – to have his quasi-minimalist or indeed his quasi-modernist cake and eat it. As the concerns of this first movement, ‘Rings’, came more clearly into focus, I was often put in mind, not unpleasingly, of Prokofiev. Hadelich’s cleanness of tone was just as striking, however high-lying his part – and sometimes it is very high indeed. Frustrated and sometimes non-frustrated lyricism were often apparent, the intensity of dialogue between the soloist and other soloists from within the orchestra – taking up figures from each other, developing them – a particular joy. Shards, gestures, fragments and more of melodies: the second movement opened as if one were hearing only part of a greater whole, which again seemed to come into focus, and with a particularly strong sense of drama. The tuba, perhaps inevitably, put me in mind of Fafner – but Fafner with a sense of decidedly non-Wagnerian irony. Again, Prokofiev did not seem so very far away at times. Disjuncture of meter offer a decidedly irregular – in more than one sense – basis and/or topping to the third movement, ‘Rounds’. A Prokofiev-like combination of lyricism and the mechanistic is engendered with decidedly more (post-)modernistic means – and that, too, was how it sounded in performance. What a refreshing change to hear a Bach keyboard concerto not only played on the piano, but by someone who did not sound ashamed of the instrument! In the performance of Bach’s D minor concerto, one needed to make no allowances for Lahav Shani making his debut with the Vienna Philharmonic; this would have been a fine concert from anyone. The orchestra was small – for the Bach, that is – at 6.6.5.4.3, although doubtless enormous enough for the ayatollahs of ‘authenticity’ to order exemplary punishment. Shani took the first movement faster than I had heard before, but without it sounding in the least garbled or harried. Demisemiquavers remained melodic, likewise trills: never mere effect. There was always clear understanding of relative melodic weight within groups, as there was from the Vienna strings, similarly of the work’s greater contours. The Adagio was taken rightly in slow triple time, unmistakeably triple, unmistakeably an Adagio. (If that sounds tautologous, tell that to the zealots!) Shani again proved his own man, the tone of his cantilena noble, almost defiant, always underpinned by the bass. He can certainly spin a long line without detriment to the chiaroscuro. There was a broadly, harmonically, conceived ritardando at the end, which, being harmonically conceived, was not in the slightest excessive. The finale was again fast, but not too fast. Shani’s piano cut nicely through the strings. A duet with solo cello brought a nice element of variation, whilst the light and shade in the piano part was such as one might hear in an excellent performance of Schumann, but hears far too rarely today in Bach. There was, needless to say, a larger body of strings for Mahler’s First Symphony. From my seat in the right hand-side of the balcony, I could not see the whole orchestra, but there were sixteen first violins, going down to eight double basses (in VPO style, along the back of the orchestra), firsts and seconds split to left and right of the conductor. Shani conducted the work from memory; he is, apparently, about to conduct it in Birmingham with the CBSO. One would expect the Vienna Philharmonic violins to sail through the stiff test of those opening harmonics; it nevertheless remains a stiff test and is always worthy of praise when passed. Shani’s performance was anything but an identikit performance. Again, he proved his own man, but differences from tradition/Schlamperei never sounded different for their own sake; they could always be justified within his conception. During the long introduction to the first movement, a growling bass line, at an unusually – convincingly – slow tempo, had the woodwind sound unusually – convincingly – uneasy above. The contrast with spring-like gambolling thereafter, with wonderfully sweet string playing, was clear, but so too was kinship, calling into question that contrast; Mahler’s playing with sonata form expectations was clearly both understood and communicated, harmonic tension screwed up nicely. The symphony’s Wayfarer roots were clear, but so was their transformation. Moments and passages of unease sounded, not through undue grotesquerie, but through their roots in and deviation from German Romanticism. And when the dam finally burst, there was some magnificent orchestral swagger, perhaps most notably from the Vienna horns, but not just from them. I was a little uncertain about the somewhat throwaway ending, but again, Shani was clearly not hidebound by Schlamperei. It was good to hear the strings really dig in for the Ländler to follow. Here, numbers counted, but still more so did rhythm and its relationship to harmony. Shani clearly, like his mentor, Daniel Barenboim, has a fine ear for harmony and its implications. Beethoven is a sterner test again, but I should be interested to hear what he has to say there. The bass line again proved the root of much questioning. A tender horn call – the German, weich, so often seems the mot juste in such a context – ushering in the Trio, seemed momentarily to look into the future, as far, perhaps as the Seventh Symphony, reminding us that the undeniable charm of the new material was not to be taken without a good dose of irony. The return of the initial material had it thereby sound quite transformed, the showmanship of the conclusion growing out of it rather than imposed upon it. Ghostly kettledrums, taking Mendelssohn’s Midsummer Night’s Dream somewhere it never wanted to go, began their dance of death with solo double-bass. (Thank goodness there was none of that nonsense of employing the entire section, an absurdity for which Sander Wilkens, editor of the so-called critical edition, should hang his head in shame!) The canon gathered momentum just as it should: with a fragility that proved both real and deceptive. Pyramus and Thisbe indeed! And the Klezmer music was equally well judged; remembered, reimagined, integrated, the tension thereby all the greater than if it sounded, as too often occurs, as if it had come from nowhere. It was sardonic, but the Romantic framing remained: both need each other. There was, moreover, a wonderful stillness thereafter, which put me in mind of the slow movement to the Fourth Symphony. Solo oboe and violin cut through that stillness with cruel beauty. And then: harp intonation of death, returning us to an eerily intensified ‘Bruder Martin’. The end, intriguingly, sounded as if it might disintegrate into the opening of Berg’s Op.6 Orchestral Pieces. The opening of the finale proved quite a wake-up call. This is hardly a time for understatement, and yet, what was to come reminded us that theatrics need a harmonic foundation. A little too much of those theatrics at times? Perhaps, but there is more than one way to skin a Mahlerian cat. I, for one, rather welcomed the sense of a blinding flash, especially – and this was the key in retrospect – when the slow, cloying, knowing sweetness, honest in its desperation for a past that never was, told its own tale. If one has the Vienna Philharmonic’s strings, one might as well use them to full effect! Episodes screamed, but did not just scream; they spoke too. Moments, passages of calm, as in the preceding movement, were not just what they might initially have seemed either. This was an integrative reading, which this movement, its structure perhaps problematical unless powerfully unified in performance, cries out for – in every sense. And so, triumph, when it came, felt and indeed had been earned. I have little doubt that we shall hear more from this pianist-conductor. I have had to wait a long time to hear Schumann’s Scenes from Goethe’s Faust ‘live’, since, as an undergraduate, buying a second-hand copy of Britten’s recording. Perhaps there has been a London performance since I have become a regular concert-goer; if so, I have not noticed it. Quite why is baffling. It is, by any standards, a fine work, perhaps not so ‘individual’ as the Schumann we know from the piano music and songs, although perhaps that is as much a matter of our conception of ‘individuality’ as anything else. There is certainly ‘originality’ – that most Romantic of constructs, but a construct to which we all, if we are honest and not absurdly modish, remain rightly in thrall – in much of the orchestral writing, which whatever its kinship with the work of other composers, could hardly ever, perhaps could never, have been written by anyone else. Yes, it requires a good few soloists and a chorus, but so do many other works. And if Goethe notoriously told Eckermann that Mozart would have had to compose his Faust, then Goethe was notoriously wrong about all manner of things musical. Comparisons more odious than usual presented themselves early on, given that I had heard Bernard Haitink and the Chamber of Orchestra just two nights earlier. Nevertheless, if Daniel Harding’s brisk way with the Overture, at least initially, was not how I hear it in my head, it had its own justification, and he showed himself perfectly willing to yield, rather beautifully, for the more ‘feminine’ – forgive the gendered language, but it is surely apt in this of all cases – music. A contrast between Faust and Gretchen was clearly being set up, both in work and in performance, and yet something in common too: in typically nineteenth-century terms, Eve was created from Adam’s rib. I need not labour the point by saying too much about Robert and Clara. In any case, female voices are far from neglected as the work proceeds, Schumann almost careless in his requirements. And so, after that rather Harnoncourt-like opening, I had no quarrel, or even query, with Harding’s tempi. There was plenty of ebb and flow, and if there might sometimes have been more colour in the Vienna Symphony Orchestra’s response – not to mention a few too many fluffs in the brass department – there was good playing throughout, excellent in the more vigorous sections and often beguiling in the more ‘poetic’, sensitive passages. Choral singing was excellent throughout, too, both from the Wiener Singakademie, large in numbers yet lithe and lively, and from the young singers from the Opernschule der Wiener Staatsoper, winningly seraphic. The Dies irae passages properly chilled, yet without melodrama; musical values were always to the fore. The solo singing was for me the highlight. Since he had the lion’s share of it, it is hardly surprising that I should mention Christian Gerhaher first and foremost. The beauty of his vocal delivery was matched to a tee by the acuity of his verbal response. These were clearly words that meant a great deal to him – they do, surely, to any German – but nothing was taken for granted. Gerhaher was not ‘just’ singing Goethe; he was singing Schumann’s Goethe. His shading and phrasing were such as one might have expected in a performance of Dichterliebe. There was, moreover, Faustian defiance, when called for; and drama worthy of the stage – if unstageable – in Faust’s death. Gerhaher’s roles in the Third Part were carefully differentiated; now he was one soloist among many. And those other soloists were an impressive bunch too; there was not a weak link in the cast. Christiane Karg offered a well-judged match of vocal refulgence and drama, again always founded in the text. Andrew Staples sounded every inch a Tamino in his roles, Schumann’s fantastic writing for Ariel benefiting from a meltingly Romantic evocation in vocal and instrumental terms. Alastair Miles proved a stentorian Mephistopheles, and Christina Landshamer a perky, intelligent soprano. Franz-Josef Selig sounded as his usual, beneficent self: always more than welcome. Ensemble writing was always well attended to, balances permitting Schumann’s lines to tell both contrapuntally and harmonically. This is a work we need to hear far more often, but this was a good occasion on which to start. Like many, I really have not the slightest idea what Goethe meant by his ‘ewig-Weibliche’ panacea, and probably should rather keep it that way, but Schumann’s unexpectedly – even when one knows it – non-soaring conclusion offers, if not a solution, then, after the splendidly blazingly writing beforehand, a welcome deflection. That, moreover, was how it sounded here. 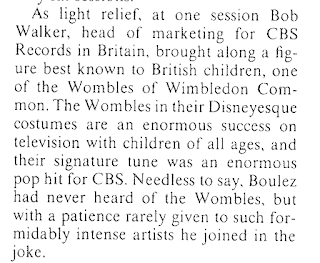 Boulez, Schoenberg - and a Womble? Might there be, hanging around in a vault somehere, a truly ‘objective’ recording of Underground, Overground, Wombling Free, unburdened by sentimental, pseudo-Romantic accretions of 'performing tradition'? As safe bets go, this all-Schumann programme, with these musicians, would probably have veered toward the extreme end of safe. Yet, however heightened the expectations, they were not to be disappointed by performances whose supreme musicality delighted and edified from beginning to end. The golden acoustic – it really does sound more or less as it looks, albeit without the questionable ornamentation that must have given Adolf Loos severe palpitations – of the Musikverein’s Grosser Saal did no harm either, of course, although the chattering pair of girls behind me certainly did. No number of hard stares seemed to be enough; why do these people bother going? I am not sure that I have ever heard the Manfred Overture in concert before; if I have, I have forgotten the experience, which forgetfulness might well speak for itself. We rarely, if ever, hear the complete incidental music: a great pity, but then much the same can be said of a good deal of Schumann’s music. At any rate, Haitink and the Chamber Orchestra of Europe had nothing to fear from the most exalted of comparisons. Indeed, whilst the orchestra was of course smaller, though not at all too small, and Haitink’s way is not Furtwängler’s – whatever the inspiration, neither is Barenboim’s – the darkness of tone Furtwängler drew from the Berlin Philharmonic did not always sound so distant. The extraordinary drama of such a performance, sounding with no exaggeration as if everyone’s life depended on it, is doubtless unrepeatable, just as no one could or should imitate Furtwängler in the Ninth. However, if the orchestral lines did not ‘speak’ quite like that – how could they do? – there was a noticeable, parallel kinship with Wagner. Two of the very greatest of Wagner conductors, and moreover, two of the very greatest Walküre conductors, impart their different varieties of musico-dramatic eloquence to the same score. Those Neapolitan sixth chords tell so much – which might perhaps resist the attempt to put it into words – because the crucial importance of harmony and, above all, harmonic rhythm is present throughout. It is that greatest wonder of Western music, harmony, which shapes the melodic, almost verbal, contours above. We feel again the loss, Genoveva notwithstanding, of Schumann as opera composer – even if, perhaps particularly if, it could never really have been. And the playing of the COE was just as committed as the Berlin Philharmonic: whether the Freischütz-like brass, the vernal woodwind, or the strings, whose every note pulsed with life – life, which Furtwängler, in his echt-Romantic way, distinguished in his notebooks from ‘vitality’, a second order virtue, longing for something already gone. Ours is largely a secondary lot, or sometimes it seems, but without grandstanding, Haitink and the COE permitted this neglected masterpiece to shine as itself. The Piano Concerto is of course, a different animal. No one could call it neglected; indeed, it is the sort of work I only really wants to hear in a great performance, since otherwise one might just as well return at home to the great recordings of the past. Well, this was a great performance of the present. If I say that the work appeared simply to speak for itself, the claim stands open to objection in any number of ways. ‘Appeared’, ‘simply’, etc. The art that conceals art is in many respects the greatest and most difficult art of all. But there was a wisdom here born not only of lengthy experience, but also surely of the renewed delight in treating again with a masterpiece: finding new things, no doubt, but also, I suspect, finding old things and letting them speak, or sing, anew. Haitink and the orchestra offered the most impeccable of balance, lines weighted as if we were hearing, say, Boulez subtly and yet unmistakeably bring to the surface a Bergian Hauptstimme. Yet beneath that surface, again, lay harmony. So too, it did with Perahia, whose renowned love for Schenker was clearly in evidence. And yet, individual lines sang with Mozartian eloquence, the eloquence of a Mozart piano concerto in which the ‘purely’ vocal has been aufgehoben. A right-hand melody, in which the shadows deepened, lifted, or perhaps in which our standpoint upon them shifted, was crafted in the most apparently ‘natural’ of ways, just as it would be from the outstanding COE woodwind. Transitions, such as that from the Intermezzo from the finale, were a model of their kind, uniting every one of those virtues listed above. Moreover, not the least virtue of the finale would be when a Brahmsian piano chord revealed through its voicing the potentialities of a future later still. Perahia is not noted as an exponent of Schoenberg; indeed, I recall an interview in which he admitted ruefully that he did not understand twelve-note music. This, however, made me long to hear Perahia, Haitink, and – why not? – the Chamber Orchestra of Europe in a performance of that composer’s piano concerto. 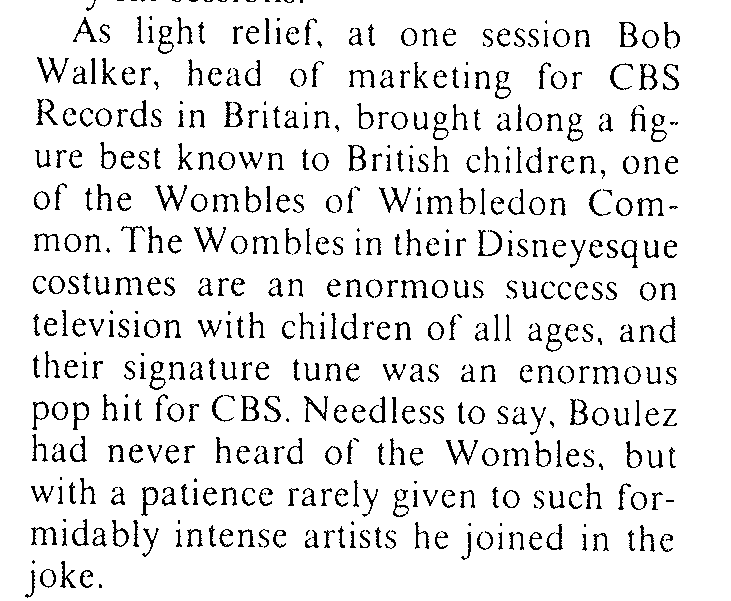 They might even give Uchida and Boulez a run for their money. Such was not, however, my final thought: that lay with the jubilation of warm, radiant, Musikverein A major: a Romantic battle had been lovingly won. Haitink’s performance of the Second Symphony was to be no less distinguished. (It would by this stage have been surprising indeed, if it had.) Both of the earlier works are in many, although not all, respects ‘symphonic’ of their kind; this, however, was the ‘real thing’, as it were. What struck me – and I might have expected it, but experiencing it in the flesh can surprise one even with the unsurprising – was the structural grasp Haitink and his players displayed not only of each movement but of the symphony as a whole. That was not to paint each movement or indeed each paragraph, each phrase even, in similar shades. There was certainly diversity in unity, and vice versa, here. Again, I think of those chords from the piano concerto, with seeds not only of the future I mentioned, but also, of course, of the past, Bach in particular. Bach is, not without reason, often invoked in discussions of the first movement, but for me, Beethoven is just as important, perhaps more so. Moreover, there is kinship – I am not quite so sure that it is ‘influence’, but that is neither here nor there – with Wagner too. Such aspects were readily apparent, perhaps all the more so for the lack of underlining. Haitink, whatever he might be, is certainly not an ‘underliner’. (I imagine with horror what some of those intent on arbitrarily pulling around symphonic structures would have done with, or rather to, this.) Once again, the freshness, the exhilaration of the COE’s response was a joy in itself, not that it could or should have been heard merely ‘in itself’. The scherzo dazzled, not in a flashy way – again, can one imagine a less ‘flashy’ conductor? – but through the unleashing of kinetic, Mendelssohnian, above all profoundly musical energy. There was nothing sentimental to the slow movement, but nor was it treated in the perfunctory way that some, eager to avoid charges of sentimentality, will inflict upon it. Phrase upon phrase unfolded, almost as if in a poetry reading, until the dam broke and the high yet not un-tortured spirits of the finale flowed, like the Rhine itself. Beethoven again seemed a guiding but not an overbearing inspiration; Schumann spoke for himself. Another Wien Modern concert in which women composers outnumbered men. We are getting there, it seems – I hesitate to say that we are ‘there’, wherever that might be – with respect to New Music, although there is a long way to go in honouring female composers of the past. (Barbara Strozzi is a current cause of mine; I am sure most of you will have others. And there are, of course, real problems in other respects.) Part of the answer, to many problems, is of course to have a far healthier balance between contemporary musical production and outings from the museum. Festivals such as Wien Modern help enormously, and the turn out for this concert was very encouraging; but every orchestra, every hall, every musician, every audience member should think about the bizarrely narrow ‘repertoire’ that suffocates us. Isabel Mundry’s Non-Places, a Piano Concerto, drew me in, although I really felt that I needed at least another hearing to grasp where it had taken me. (That is a criticism of me, rather than of the work, I hasten to add; I should certainly like to have another opportunity.) Untuned percussion leads us to orchestral chatter – passages, I learned later, from Oswald Egger – and laughter. Such unexpected sounds, alternating, combining, mutually transforming, certainly had me sit up and listen (and watch!) Various orchestral instruments sound amongst the chatter. It is actually quite a while until the piano enters, almost as if we were hearing a conventional opening ritornello. When the piano does enter, it is not in obviously soloistic fashion; indeed, the work progresses more as a chamber or ensemble piece than what we might have learned to expect from a piano concerto. It is clearly a challenging work for all concerned, but Nicolas Hodges, the ORF SO, and Sylvain Cambreling all did an excellent job. The pianist’s despatch of, for instance, repeated notes, a repeated device in different yet clearly related guises, was everything one might hope for. Moods vary, as do textures. I was especially captivated by duetting between plucked piano strings and cimbalom: a visual as well as an aural spectacle. Other instruments, whether percussion or strings, act as the changing orchestra alongside the two apparent soloists. There was in work and performance very much a sense of a varied yet single span. I am afraid I could not make much of Mark Andre’s … hij … 1. I admit that I am becoming a little impatient with works in which instrumentalists ‘play’ but make no sound; it certainly has an element of theatre to it, and here, at least, sounds occasionally emerge from the silence, but it is a device that has quickly become clichéd. Alas, most of what I heard fell under the heading of cliché. Although doubtless very well performed – there is no doubting the prowess of this orchestra, nor its commitment – ultimately, it sounded a bit like a minimalist attempting to ape Lachenmann (and not getting very far). There are some nice touches, for instance percussion emerging out of what I suppose we must call the ‘extended techniques’ of not playing or barely playing. Likewise, I felt that rhythm emerged from that opening too. I could not discern, though, why the orchestra – or rather piano and wind – suddenly start playing ‘normally’, nor why they stop. Sudden shifts, whether of tempo or instrumentation, do not seem to signify anything in particular. It felt, I am sad to say, interminable. That could certainly not be said of Rebecca Saunders’s Still, for which the ever-outstanding Carolin Widmann joined the orchestra. (I learned afterwards that the piece is dedicated to her, and that it was premiered by Widmann and Cambreling, with the BBC Symphony Orchestra.) Still came as a relief, from the very opening violin solo, which somehow imparted a sense of a work and performance that knew exactly where they were going, even if we did not (yet). In many ways, it sounded more like a traditional concertante piece than Mundry’s work. The orchestra engages with the soloist, and vice versa, such interaction continuing, echoing, contrasting; that held for the performance as well as the work. One aspect of the writing that especially caught my ear was the timbral transformation of particular pitches, inevitably bringing, even so many years hence, Webern to mind. Widmann’s rendition of the solo part had me wondering what it would be to hear her in Bach or Schoenberg; indeed, there is something pre- or (slightly) post-Romantic to a role one might call obbligato. (I thought at times of Schoenberg’s op.47 Phantasy for violin and piano.) There was true emotional as well as intellectual depth here. Despite the increasing value – if indeed in such post-modern times we are permitted to speak of æsthetic worth – awarded performance art, installations, and the like, this seemed triumphantly to underline the ongoing importance of the musical work, whether as concept or, perhaps more importantly, as experience. What a wonderful programme, given under the heading ‘Wiener Schule’ (‘Viennese Schools’)! Beethoven’s An die ferne Geliebte and Schoenberg’s Das Buch der hängende Gärten must, along with Hindemith’s Marienleben, stand as the most disgracefully neglected of song-cycles. (No reasonable person denies the greatness of Schubert, but do we really need to have Die schöne Müllerin and Winterreise programmed quite so often?) The opening song, ‘Auf dem Hügel sitz ich spähend’, began beautifully slow, heartbreakingly so. This, one felt, with reference to Christian Gerhaher’s most celebrated operatic role, was Wolframs Lied. For whatever reason, and the reasons are, I think, complex, we hear what we imagine to be Beethoven’s voice, his character, in his music. Does anyone really not hear his greatness as a human being as well as a composer? The composer’s goodness certainly shone through here, through rather than in addition to vocal beauty; nor was Gerhaher’s performance at the expense of the words. There was sadness, though, too: how could there not be when measured against the state in which the world now stands? The acceleration in the final stanza was spot on: ‘natural’, with nothing remotely abrupt to it. That, of course, was Gerold Huber’s doing as well, and the subtlety of the brief transition to the next song – and not just to this next song – was his too. ‘Wo die Berge so blau’ offered contrasts between such beauty of tone and a dried out quality in the second stanza, vibrato strategically withdrawn. ‘Schmerzen’ indeed. I liked the playful yet serious character to ‘Diese Wolken in den Höhen’: akin to a vocal Bagatelle, and yes, the persistence of certain piano figures reminded me further of those true gems for the instrument. The sadness of an aspiration to naïveté, no longer possible to fulfil, Beethoven already too late, marked ‘Es kejret der Maien’. Beautifully sprung piano rhythms heightened the loss. The turn to the minor for concluding tears (‘Tränen’) sealed a tragedy in miniature. Gerhaher offered an almost Mahlerian serenity of exhaustion – closer, perhaps, to some of the symphonies than the songs – in the final ‘Nimm die hin den, diese Lieder’. The final stanza reinstated, not without implicit sorrow, Beethovenian good humour. Schoenberg could, not without reason, be a pricklier soul. Here, though, we heard a veritable garden of delights. Placing his cycle after Beethoven’s suggested reinstatement of that slippery idea, ‘tradition’, and the intrinsic necessity of its Aufhebung. Lines heard in quasi-isolation might have been of the past, almost but not quite; where they were sung or played now, they became unheimlich. The eloquence of Huber’s opening left-hand single-line melody heightened expectations, which were certainly not to be thwarted. A Schubertian bird (‘Vögel’) sang during ‘Hain in diesen paradiesen’, the piano recognisably a collaborative partner drawing upon Schoenberg’s recent op.11 Piano Pieces. Rhythms in the following ‘Als neuling trat ich ein in dein gehege’ seemed to want to enjoy themselves, almost succeeding, Stefan George’s verse pulling them back. Gerhaher’s hairpin on ‘strauchelt’ encapsulated his marriage of drama and beauty, the vowel doing his magical work. Resignation – ‘leaning in’ on harmonic progressions – marked ‘Saget mir, auf welchem pfade’; and yet, it moved. Sometimes, as in ‘Angst und hoffen wechselnd mich beklemen’, the piano part seemed to attain relative autonomy, but it was not contradiction, such as Schoenberg unfarily accused Busoni of having advocated. Pierrot-ish rage seemed within range in ‘Wenn ich heut nicht deinen leib berühre’, whilst pale, wan tone drew us in and repelled us in ‘Als wir hinter dem beblübtem tore’. Ghostly dignity was Gerhaher’s mode of delivery here, that mode ever shifting, ever complex: like Schoenberg’s music itself, of course. The final ‘Wir bevölkerten die abend-düstern’ had, from its outset, a sense of finality, yet by the same token, the battle was not won before its singing. There was to be no easy conclusion; how could there be? Perhaps this offered some irresolute resolution of that which would not resolve. We hear Haydn’s – and Mozart’s – songs far too little. This selection would, I suspect, have been quite an ear-opener to many. The particular gravity of the piano sound, the placing of chords, and their harmonies marked out the opening of The Sprit’s Song as ‘late’. Gerhaher’s performance of Anne Hunter’s words and Haydn’s notes seemed to hark back a little to Handel, whose music so enthused Haydn both in London and before, and, even, via the adoptive Englishman, to traces of Purcell. This was no merely genial Haydn; it was as dark as Schoenberg, indeed perhaps more unrelievedly so. The mood lifted for ‘Content’, as one might expect (! ), but ambivalence remained in a fashion that perhaps hinted at Mozart. Edging toward Romanticism, though remaining in the eighteenth-century, the performance of ‘The Wanderer’ sounded perfectly placed. My sole reservation lay with the Hunter ‘Sailor’s Song’. For me, it does not present Haydn at his best, but more to the point, both performances sounded over-emphatic: heavy-handed and whatever the vocal equivalent might be. ‘She never told her love’, however, sounded as well judged as ‘The Wanderer’ and indeed announced its kinship thereto. There is loss, of course, in any piano version of Berg’s Altenberg-Lieder, but Huber’s own revision of Hans Erich Apostel soon had us forget and perhaps even to experience certain compensations. The piano’s quicksilver flickering, relative weighting of instrumental voices constantly shifting, sounded in model fashion. Mood and style were marked out as differently from Schoenberg as Haydn from Beethoven. Gerhaher’s attention to detail presented in the first song a quasi-turn upon ‘schöner’ as careful as if it had been by Haydn. Occasional erring of pitch, not of great importance or degree, was eradicated by the time of the second, ‘Sahst du nach dem Gewitterregen’. The paradoxical, or better dialectical, musical plenitude of Berg at (almost) his most aphoristic was something to savour in ‘Über die Grenzen des All’ and ‘Nichts ist gekommen’. Huber plucked the piano strings, harp-like, in the former: a lovely touch. Gerhaher’s final note, in falsetto, rang out in near-perfection. Sands constantly shifted beneath an almost Brahmsian core in ‘Hier ist Friede’. This truly chilled, as if Tristan were meeting Wozzeck. Placed after Berg, Beethoven’s Adelaide sounded as painfully past, as unattainable, as Mozart might after Beethoven: heart-stopping indeed. The Mozart of The Magic Flute did not in fact sound so far removed from Beethoven’s palpable sincerity. Tamino, rather than Papageno, seemed almost the guiding spirit. I thought that before knowing what would come next: a delectable, light yet truly felt, encore of Mozart’s Abendempfindung. I cannot conceive of any of the preceding works without Mozart’s example; there is, happily, no need to do so. Two works by Austrian composers received their Austrian premieres in excellent performances from the Vienna Symphony Orchestra and Erik Nielsen. HK Gruber’s into the open…, for percussion and orchestra was written as a tribute to David Drew. (Drew died during its composition.) The opening section is still, full of suspense. I read later Gruber’s description of it as a ‘slow, meditative processional, as if the soloist is walking through a “pitch landscape”,’ which seems to me a description as beautiful as it is accurate. Colin Currie, as ever a supremely musical and assured artist, had mostly tuned percussion to deal with as he walked through that landscape. I thought at the time of it as an orchestral backdrop, with strong echoes of Berg. The feeling of suspense was powerfully maintained, as much a tribute to Nielsen’s conducting as to Gruber’s writing. Eventually, full brass chords, which might have come from Weill, announced a new section. ‘Partway into the single movement span,’ I subsequently read, ‘I heard of the death of David Drew and this influenced the course of the rest of the piece, but the first section now seems to be a premonition of what the work would become.’ Balletic, Prokofiev-like music was next, or soon, up, Currie weaving his percussionist’s web around it. Gruber quite right to point to his twin qualities as ‘precision time-piece’ and, in slower, lyrical music, being ‘more like a violinist, cellist, or even a singer, drawing out sustained melody from the percussion instruments’. Old dances sounded, but never quite as pastiche; there was no doubting the Viennese quality of the music, even if it were Vienna ‘of a certain age’ rather than ‘Wien Modern’. A Stravinsky-like passage caught the ear. The music was easy to listen to, but interesting to listen to as well. In the second half, we heard Johannes Maria Staud’s Zimt: Ein Diptychon für Bruno Schulz. I was a little unsure why an orchestral diptych for a Polish-Jewish poet should be called Cinnamon, but after reading on the train home, learned that it must have been a reference to Schulz’s reminiscences of childhood, Die Zimtläden, published in 1934. Reading that and other works by Schulz clearly made a great impression upon Staud; he writes of him as ‘like a meteorite’ and a ‘visionary’. In performance, opening percussion, of which there is much in Staud’s piece (five instrumentalists, I think, including a timpanist), formed something of a connection with the first half. An orchestral passage put me in mind of the drowning music from Wozzeck, the harmony quite similar, the orchestration less so, but undoubtedly virtuosic. Syncopations seemed in relatively conventional fashion to denote, or at least to suggest, unease. Riotous music evoked, for me at least, the world of Boulez’s orchestral Notations. The music disappeared – upwards. Presumably far from coincidentally, the second movement opened with an unmistakeable series of tonal descents. Again, there was no doubting the virtuosity of Staud’s handling of the orchestra, nor the virtuosity of the performances from all concerned. Downward glissandi continued to be prominent, counterbalanced by their inversions. Some of the material sounded similar to that of the first movement, but transformed by its context. Again, there was a good deal of riotous Notations-like writing; but this was a riot constantly changing in nature, the writing and performance as detailed as they were exuberant. Achim Freyer still has it. There were times when I wondered whether he might have lost the plot, in more senses than one, but the final scene of his staging of Don Giovanni pulls things together brilliantly. That is not necessarily always accomplished rationally, but with a felt necessity rendering rationality but one option from the Ristorante Giovanni (®) menu, and not perhaps the most enticing one. 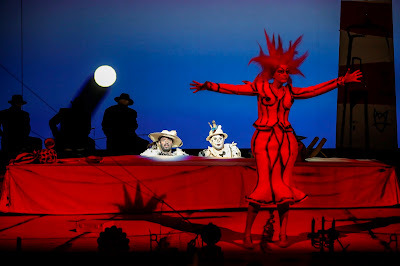 Don Giovanni, after all, stands on the threshold of Baroque and Romantic theatre: the whole world a stage in the traditions of Shakespeare and Calderón – too often, we forget Tirso de Molina in the formation of the opera, or relegate him to mere ‘background’ – as well as of ETA Hoffmann and others to come. Herbert Graf – Freud’s ‘little Hans’ – did not forget such broader terms of theatrical reference, in his still wonderful Salzburg staging for Furtwängler, the Felsenreitschule the instantiation of ‘Salzburg World Theatre’. In his very different way, nor does Freyer. Indeed, something of the world of wonder I experienced when first seeing his Salzburg Magic Flute seemed re-born. At any rate, for this audience member, Freyer’s Don Giovanni proved a far more successful a staging than the same director’s Berlin Eugene Onegin (to put it mildly, not for me). We find ourselves, unsurprisingly, in a world of clowns: different clowns whose visual identity certainly seems to have something in common with their musico-dramatic identity. There is no doubting that Don Giovanni is a dashing cavalier, nor that Masetto is a simpler soul. Donna Elvira, like him, has a wonderful punk look – I could not help but think of Mary Smith from the early days of EastEnders – and Da Ponte’s, less Mozart’s, somewhat misogynistic view of her ‘femininity’ is underlined by persistent recourse to her pink make-up box. Don Ottavio’s pomposity is there for all to see, as is Leporello’s street theatre. Zerlina, like her husband, is clearly of coarser stuff still. Donna Anna: I am less sure. Whereas in many stagings, she, taking after Hoffmann, seems the most central figure after Giovanni himself, here she seems initially undeveloped, then perhaps more of an outsider. Why? How? The clue perhaps lies in language, which will surely prove this production’s most controversial feature. It has one attempting all sorts of rationalisations, soon disproved. I only noticed on the way to the Volksoper the intriguing claim that the operas was to be performed ‘in the Italian and German languages’. German, perhaps, for the recitatives? Spoken dialogue replacing some of them, as in Hans Neuenfels’s splendidly provocative La finta giardiniera? It soon becomes clear that the distinction will not be so – well, clear. Might it be explained by musical style, to the estate (‘class’ remains anachronistic here, a distinction worth maintaining, I think) of the character, to the level of passion expressed, to anything…? Zerlina moves to Italian, the ‘language of love’, to Don Giovanni’s tongue at that point, in 'Là ci darem la mano'; but whatever conclusion I might have drawn from that was soon confounded. What was I to make of Elvira – not Donna Anna, whom I might have expected to maintain her Italian, seria composure – singing only in Italian? Nothing, it turned out, since she eventually switched to German. What on earth is anyone to make of characters switching tongues within lines, repeating words in translation? I made a great deal of it, only once again to have my hypotheses torn to shreds. After the event, I read Freyer’s explanation, ranging from how he converses on holiday to Anna living ‘in Italian’ and never having learned German; I cannot say that it tallied with my experience, save for his interesting claim that we all speak in multiple languages. That, and the lack of sense at times in our communications, seem to me the key, although it seems the director has his own rationale. Does it confuse and bewilder? Yes. Somehow, however, it contributes to a far-from-bleak comedy of the meaningful and meaningless, mysteriously resolved – not just suspended – at, or after, the last. For much seems to head towards Giovanni’s Last Supper: nothing heretical, save in the strict Roman Catholic sense, there; so it should. The table is cleared at the beginning by stage-hands who may or may not be part of the ensemble. (Of course they are, if their juggling skills are anything to go by, later on, but blurring of the boundaries is for once a cliché worth reference. I thought more than once of Ludwig Tieck’s Der gestiefelte Kater, or Puss-in-Boots.) It remains for the most part central as other aspects of the staging, helped by brilliantly, deceptively simple lighting, move in and out of our focus. The theatrical unities are all impressively present; indeed, if anything, we are slightly bludgeoned by their representation. (Can one be ‘slightly bludgeoned’? Freyer suggests so.) That of time, for instance, we experience with the moon moving across the stage in childlike, maybe even childish, simplicity. The characters still exist, though; they remain Da Ponte’s, and Mozart’s. And, of course, ours. In his 1797 play, Puss in Boots, mentioned above, Ludwig Tieck resurrected – he was not the first, and would not be the last – the comic figure of Hanswurst, whose coarseness had had him banished time and again from the German stage. (Joseph II had prohibited improvisatory comedy and other such fripperies from Mozart’s Vienna, following the outbreak of the French Revolution in 1790.) 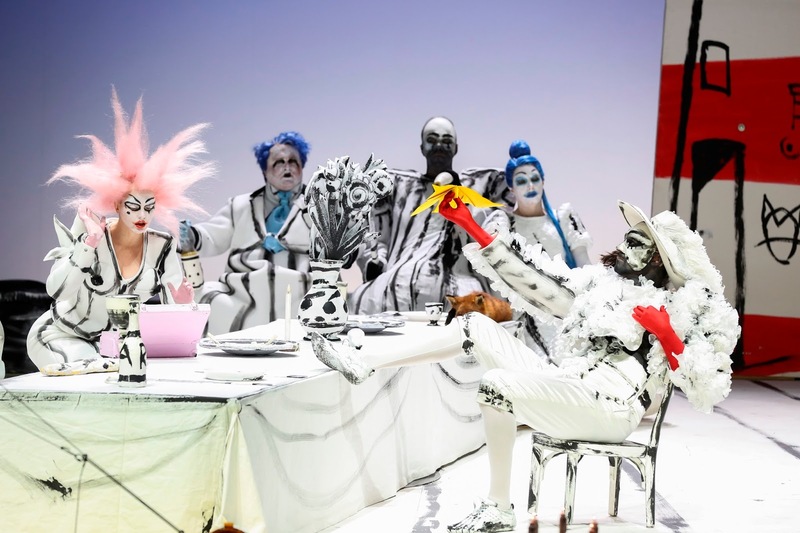 The silliness of Freyer’s production, perhaps especially in a Volksoper context, might owe something to that tradition: often a dangerous tradition for authority, be it noted. It also, though, plays on the seriousness and bleakness of clowning. The two mysterious figures in black, fishing at the back of the stage, sometimes there, sometimes not, might have come straight out of Beckett. Tieck is not the only German writer with strong connections to the Theatre of the Absurd; Freyer, for all his Brechtian influence, surely partakes in this too. In the final scene, the set turns into a restaurant. References to food, including the fish one of Beckett gentlemen had caught, begin to bind together our experience. (A boar's head amused this particular victim of Tory government.) Hospitality, it seems, is now the name of the game: so, perhaps more darkly, is capitalism’s ability to commoditise even the most Hellish of experiences. Apparent members of the audience, following what appears to be the ‘end’, leave the audience, become members of the cast, much to the initial surprise and perhaps bewilderment of those of us remaining on the ‘other side’. Will the ‘performance’ go on forever? It had, after begun, before we arrived. Pasta is served up, reminding me of Papageno in that Salzburg production; and should that not be your thing, a sign pointed to a Würst’l around the corner, an hotel, on stage with a chapel for most of the performance, offering an alternative venue, perhaps for those of a more seria disposition. Maybe this has been, to quote Lessing on the moralistic attempt to banish Hans Wurst from the stage, ‘die größte Harlekinade’. Harlequin and other clowns speak truth more often than many realise. There were a good few boos when Freyer, stood on the table to take his bow, but applause and cheering where louder. Freyer’s response weaved good humour and contempt in just about the right measure. Beaming, he started to dance. Achim Freyer certainly still has it. I dwell overwhelmingly on the staging, because in this case it is undoubtedly the overwhelming impression one has, or at least I had. That is not meant disrespectfully. All contribute to it; it is certainly no matter simply for Freyer and ‘his’ team. I should, however, say something on the more ‘musical’ side. Jac van Steen led a beautiful, noble, wise performance of the score. Even where tempi did not tally with my inclination, I was won over by his generous musicianship. There was no ideological point-scoring here, but a clearly profound knowledge of the score, communicated with the ease – the apparent lack of any communicative act – that only the finest of Mozartians can command. His partners in crime, the Volksoper Orchestra, played beautifully throughout. Again, there was no silly ‘authenticity’, but there was music-making, whether in solo or ensemble terms, of a high order indeed. Both conductor and orchestra seemed naturally – whatever that might mean – attuned to the shifting colours, harmonies, and pace of Mozart’s miraculous score. Felix Lemke’s fortepiano continuo was certainly at the more ‘imaginative’ end of the spectrum, but wittily, musically so, provoking none of the irritation that overtly exhibitionistic accounts do. The cast had a difficult job indeed. Imagine having to learn the words with constant switches between German and Italian, especially when you probably know the ‘original’ already. For that alone, they would deserve the warmest of applause. But they threw themselves into Freyer’s concept with enthusiasm, their clowning convincing throughout. At the centre, in the title role, stood an undeniably seductive performance by Josef Wagner, his gliding across stage at one with his silkiness of vocal delivery. I should very much like to see and hear more from him. Jörg Schneider’s beauty of tone almost made me forget my qualms about the inclusion of both of Ottavio’s arias. Kristiane Kaiser occasionally had trouble with Anna’s coloratura, but for the most part performed more than creditably; much the same might be said, albeit with greater stage ‘attitude’, for Esther Lee’s Elvira. (I should certainly never have guessed that the latter was a late stand-in for an indisposed Caroline Melzer.) Mischa Schelomianski seemed very much in his element with Leporello: a figure of fun in the best sense, perhaps a figure ‘for’ fun? Ben Connor and Anita Götz ably delineated the more plebeian roles of Zerlina and Masetto; they stand, rightly, as the heirs to Viennese popular theatre, whilst, perhaps ironically, attaining dramatic seriousness of their own. Andreas Mitschke proved a suitably imposing Commendatore. More than usual, though, the claim of a company performance won out. It had to – and how!